TRIS is the result of the best Italian design and engineering. Behind this excellent result is the hard work of very skilled people and great attention to each detail. Frames and forks are hand built with love by experienced craftsmen. 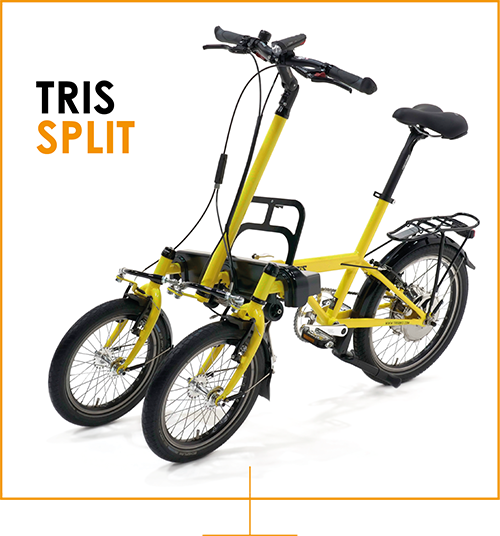 Tilting Front Wheels System (TFWS) and Tilting Block System (TBS) are very innovative solutions in the bike industry, developed and patented by TRIS bike team. They will be produced in Italy using cutting-edge machine tools. Top quality components guarantee the best result.